The first checklist in man’s mind is for physical fitness and healthy living style. These trends are very much common among young generation .But what is more common and widely accepted fact is the importance given to physical appearance i.e their eternal beauty. Beauty does not mean how one is handsome but it speaks about how well a body is maintained . Gone are the days where beauty was defined only for women. Men have also started taking care of their external beauty. Skin is what defines the external beauty of a human body which is supposed to be the largest part of the organ. Men skin is different when compared to women. The majority of the men skin are rough and dry and are prone to dirt and pollution. Body lotions are one of the preferred skin care product in dealing with external beauty. Considering the needs of the men there are equally competitive skin care products available in the market. Markets are flooded with body lotions according to the specific needs of the customer. 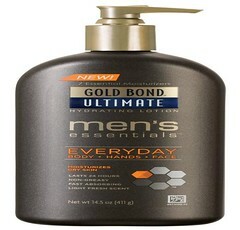 Here is the list of top 10 body lotions for men in India. This list is created by our team based on the ratings and reviews from customers in different ecommerce sites. You will find all the best men's lotion in this page. Vaseline is known to create some of the best body lotions in the Indian market. Do you know that Vaseline has come up with a very good body solution for men exclusively? If not, it is time to know about Vaseline Men Cooling Replenishment body lotion that is available for men especially. Like other Vaseline body lotions, Vaseline Men cooling replenishment lotion is famous in India among men. A long list of chemical ingredients. Loreal is one of the prominent brands available in India. Loreal is known to provide world-class cosmetic products for its customers. 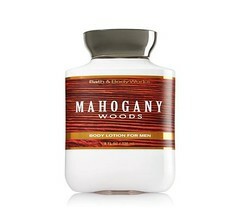 Though there are many products available for women, Loreal has come up with a body lotion for men. 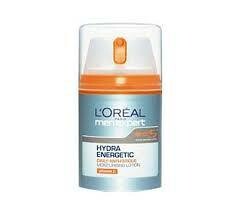 Loreal Paris Men Expert Hydra Energetic Moisturizing lotion is one of the best body lotions available in India for men. Biotique is a well-known brand in India. The brand has received a immense response in the market and has gained a large number of loyal customers in India. With its natural and organic ingredients, it stands out in the cosmetic field. Biotique has a body lotion for men in India. 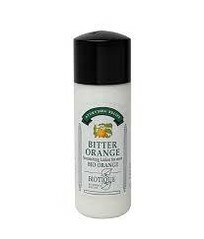 Biotique Bitter Orange Bio Orange body lotion is organic and natural body lotion. Use it for getting your body nourished very well. Shea-butter is a well-known natural product to protect the skin. With Shea Butter and Daily Moisture Complex content makes skin soft and smooth. Nutrient-rich ingredients like Vitamin E and Vitamin B5 makes the skin protective. Fast-absorbing and non-greasy formula provides 16 hours of continuous moisture. Seven moisturizers and skin-strengthening proteins and minerals replenish and hydrate even the toughest problem dry skin. With ultra-nourishing formula provides 16 hours of continuous moisture. Smooth blend of fresh bergamot and warm amber. Vitamin E and fast absorbing Jojoba Oil. With Hydra IQ technology helps in deep penetration. No artificial colors, synthetic fragrances, or ingredients from animal sources. Its essential oils, cocoa butter, aloe vera and avocado oil helps to nourish and rehydrate the skin. A Natural Uv Inhibitor, Its Hydrating, Softening And Intense Moisturizing Properties Nourish The Skin. Winter Cherry is used for its antioxidant action, which helps skin cell regeneration and softens skin. Hope you find the list of men's body lotion article useful. Tell me what is your favorite body lotion for men in India.